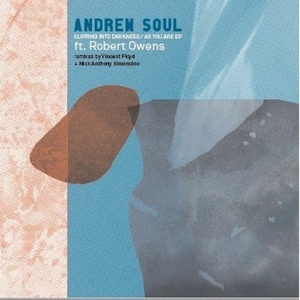 Vibraphone Records continues to deepen its contemporary repertoire by inviting Andrew Soul into the fold with a vocal contribution from house music legend Robert Owens. "Slipping Into Darkness" is a beautifully rendered deep house gem with expressive piano work, rubbery bass synth tones, but in some ways the minimalism of Vincent Floyd's remix gives Owens' vocals a chance to take centre stage. "As You Are" is a crooked, broken beat exploration on the fringes of deep house, and Owens' voice sounds resplendent in the more experimental surroundings before Nick Anthony Simoncino comes on board with a 90s flavoured, darkside remix of the highest order.